Google has gone from popular search engine to a company that specializes in disrupting markets. In the past three years, it’s brought out a line of office productivity tools that forced Microsoft Office to adapt to an online work environment. Chromebooks are forcing other PC developers to cut prices and improve service. Google Fiber is changing the face of Internet service wherever it gets implemented. This year, Google is poised to shake up another market: cellphone service. Thanks to a series of mergers throughout the early 2000’s, cellphone service competition has decreased dramatically. AT&T and Verizon have purchased most of the competition while smaller providers, like Sprint and T-Mobile, are constantly at risk of buy-out. This concentration of the market has led to an uncomfortable stasis. Neither company has much incentive to offer lower prices or better service, and innovation has slowed to a crawl compared to more competitive industries. Google is poised to change all that. Earlier this year, the Internet giant announced plans to offer wireless plans direct to consumers. Its goal in doing so is to get more people online. The motive is simple: More people doing more searches creates more data points for Google to sell to advertisers. Nefarious purposes aside, though, this promises to be a good deal for consumers. Before you call your cellphone provider and let them have it for their high prices and shoddy customer service, take a minute to consider these three factors that might influence your decision. 1.) Will Google have service where I live? Google isn’t going to build towers to establish its own network. Rather, it will be leasing data from other providers to resell to consumers. It will be what’s known as a mobile virtual network operator, or MVNO. Google will be purchasing data transmission time in bulk from T-Mobile and Sprint, then reselling that data to consumers. It will also be using a patchwork of municipal and private WiFi networks to supplement the service. Primarily, the focus for the tech rollout will be places where Google already has an extensive infrastructure. New York and San Francisco are clear choices, with Provo, Kansas City, and Austin all likely to be secondary roll-out options. If you don’t live in one of these areas, you may be underwhelmed with the service and speed of the data you may get from Google. T-Mobile and Sprint both have much smaller networks than the other giants of telecommunications. If you can’t get them where you live, odds are good you won’t get much out of Google’s service, either. 2.) What are the risks? Google’s contract allows for a certain number of users, and both T-Mobile and Sprint have clauses in their sales contract that allow them to renegotiate if too many people sign up. 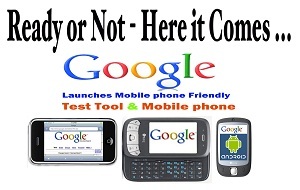 The possibility exists that subscribers to the new Google cellphone service may have their rates change if the service gets too popular. Google’s pricing structure may change data use patterns, which could result in slow-downs in service for existing T-Mobile and Sprint customers. It seems unlikely that this change will come about, as smartphone market saturation is already fairly high. Google’s horizontal integration may raise some concerns about trust issues. The search engine company will be providing the hardware, the software and the connection for the device. Such an arrangement is similar to the case that brought antitrust action against Microsoft in the late 1990s. Such a suit might cause Google to shift its development priorities to reflect new legal realities. There’s also the possibility that Google might see trouble with its stock price. The tech giant has been a reliable investment for years, holding its value relative to the rest of the market. With a new business line comes new risks to the company and customer complaints may drive people to competitors. Still, this venture will not do irreparable damage to Google as a company. 3.) How will this affect consumers? The good news for consumers everywhere is that this move is likely to bring down prices across the board. That’s been the historic effect of Google’s market interventions in other ventures. For instance, AT&T launched a massive infrastructure upgrade in Austin to keep customers away from Google’s Fiber service. Internet speed increased by a factor of 50 and cable prices dropped by $80 on average. Because of Google’s publicity and available investment capital, AT&T and Verizon may have to change their mode of business to keep up. Expect them to engage in more investment for so-called “5G” networks in an effort to attract and maintain customer loyalty with higher quality products. They may also attempt to mimic the contract and subsidy structure that Google plans to offer. Generally, the “Google Fiber” effect should bring down prices and up the quality of service for everyone involved in telecommunications. You can look forward to faster mobile data service, lower prices and more transparent billing practices in the next few years.